All artists initiatives working in the field of the independent arts in Berlin, no matter what genre or format, collaborate for a strengthening and higher financial support for independent art production. The Independent Art Coalition gathers all artists and initiatives working in freelance structures in the fields of art in the city of Berlin. No matter what genre or format everybody is working in, we collaborate for a strengthening and higher financial support for independent art production. 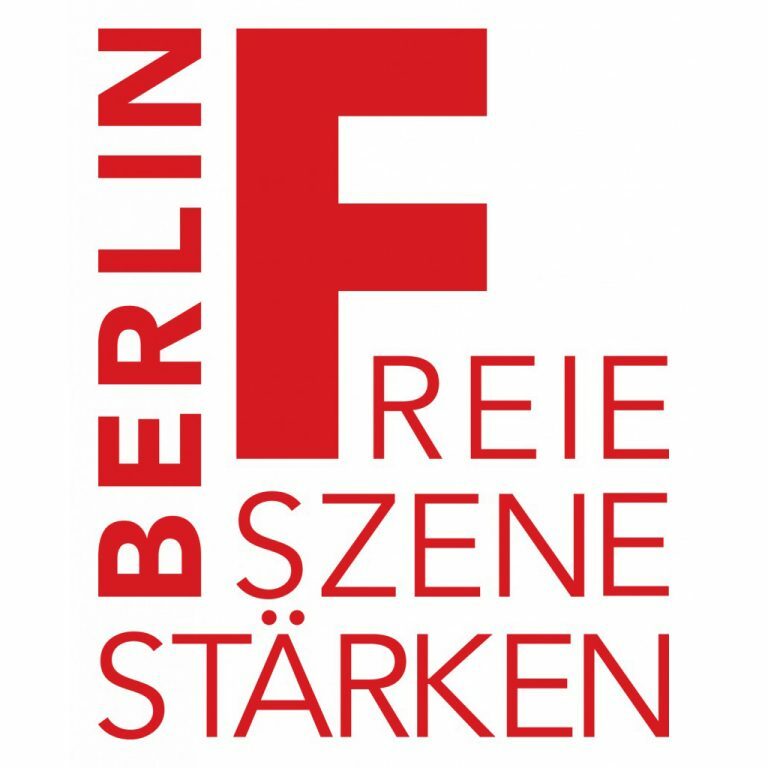 The claims are adressed to the Berlin Senate and all decicion makers of the city and include raising the budget of funding, a different approach to public real estate, a minimum wage for producing artists, transparancy and solidarity among institutional facilities and independent artists. The Independent Art Coalition has collated ideas and suggestions for a new cultural policy that different networks, initiatives, groups and individuals have developed. In terms of support for independent artistic structures, the evolution of the Berlin cultural budget over the past 10 years is extremely worrisome. In comparison with the situation ten years ago when 10 % of the total cultural budget was available for free allocation now only meager 2.5%, about € 10 million, is available. The federal government adds € 10 million through the Capital Cultural Fund (Hauptstadtkulturfonds), but only 60% of these funds are actually awarded to independently produced projects. There has been little action to support these exhortations thus far. Although a budget increase of € 500,000 for independent arts projects gives cause for hope, this increase does not even remotely correspond to the importance and the needs of the Berlinʼs Independent Scene. More consistent action is required in this respect. When the Renaissance Theatre was moved into the institutional funding budget the “conceptual fund” budget was cut by € 2,1 million. The Independent Art Coalition calls for a substantial increase of available funds in the cultural budget. It is no longer acceptable that funding for institutions is continually increased and the funds obtainable for independent structures decreased. In this context, slogans like “Culture moves Berlin” (from the 2011 Berlin Senate cultural funding report) appear decidedly cynical. The Independent Art Coalition has collated ideas and suggestions for a new cultural policy that different networks, initiatives, groups and individuals have developed. The current practice of cultural support must be subject to examination and, in many aspects, be rethought. The grant system must become more flexible in order to adapt to the needs of changing artistic practice. The grant structure presently reinforces a dubious status quo instead of supporting the constant state of flux for which Berlin has become world famous. 1. The Independent Art Coalition calls for an increase in cultural spending within the overall Berlin budget and in particular a substantial increase of the funding specified for independent projects. The introduction of a “Citytax” is welcomed. At least 50% of the fiscal revenue from the “Citytax” should be used to support the Independent Scene. Capital Fund. This is urgently needed to enable non-subsidized companies and artists to apply for substantial funding from the Capital Cultural Fund (Hauptstadtkulturfonds), the Federal Cultural Foundation (Kulturstiftung des Bundes), private foundations or the European Union. Funding budget for reviving works or additional presentations of successful projects and productions which has to have a flexible structure that enables a timely response and flow of funds, unlike the current procedure which is embedded in the individual project funding structure. Interdisciplinary arts funds for research and development and resources for artist residencies. Removal of the ban on support for festivals. Establishment of a fund for cultural diversity in accordance with the demand made by the Council for the Arts. (Rat für die Künste). 3. Establishment and support for production houses for the Independent Scene with their own individual budgets. Interdisciplinary venues function as anchors within the independent structures by, for example, initiating and producing national and international co-productions. The Independent Scene can no longer do without this kind of infrastructural support, which facilitates continuity in the developmental process and long-term planning. 4. Hauptstadtkulturfonds (Capital Cultural Fund) – Free resources for free structures! Resources from the Capital Cultural Fund must not be allowed to flow to already-subsidized institutions. This fund must be used exclusively for independent projects. Applications made by cultural institutions, which already receive institutional support should only be considered if the proposed project would be realized primarily by independent artists. Jury decisions must be binding. 5. Introduction of a minimum artist fee for publicly funded independent artists. Consequentially the total budget must be increased in order to avoid a reduction in the total number of funded projects. The demands by LAFT and TanzRaumBerlin/Tanzbüro Berlin/ztb e.V. for a minimum artistʼs fee in the performing arts should be considered as an example to be followed all areas of the arts. 6. The grant system for music and visual arts must be modified to match the structure and financial resources available in the performing arts; this includes an artist fee for exhibitions. 7. The government real estate policy must be rethought in terms of benefits for culture and the city itself. The Independent Art Coalition calls for a moratorium on the sale of state property. Property should be dealt with under a system of hereditary building rights rather than be sold. Urban development policy is cultural policy. 8. The arts and cultural funding in the boroughs is in urgent need of maintenance and expansion. Decentralization is one of Berlinʼs strengths, a natural consequence of the cityʼs history. Borough-specific cultural spending for projects and institutions is a basic necessity to ensure cultural diversity. It creates a broad range of cultural offerings, which reach the entire population of Berlin in all of its social diversity. Strong support is demanded for project funding in each of Berlinʼs boroughs. The Independent Art Coalition welcomes co-operations and partnerships between established institutions and the Independent Scene. Politicians and public funding agencies should support and encourage collaboration between these two groups. “What the city should give to the arts is a fraction of what the arts continually give to the city.” (Initiative “Haben und Brauchen”).